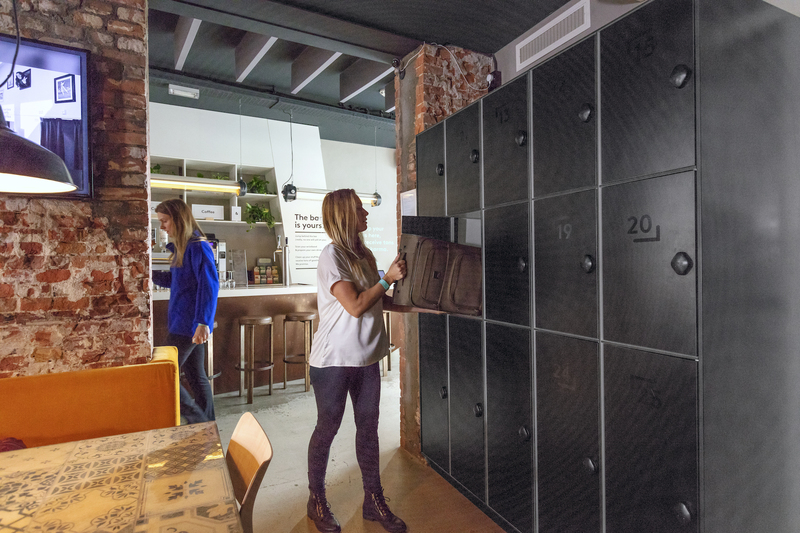 The Japanese capsule hotels are taking Europe by storm! 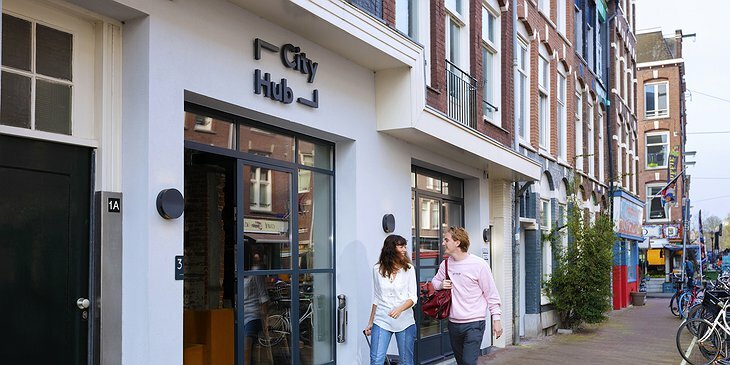 Amsterdam’s CityHub deserves particular attention with its mission to cater for travel in the digital age. Not only does each hub (as they call them here) have excellent Wi-Fi connection, built-in speakers and app-controlled lighting – you can actually take your Wi-Fi on the go with a mobile router provided by the hotel! Neat, right? You will also get your own personal city guide. In a digital form, of course. With the CityHub smartphone app you’ll access sightseeing tips, walking routes and restaurant recommendations in real-time and from real locals. 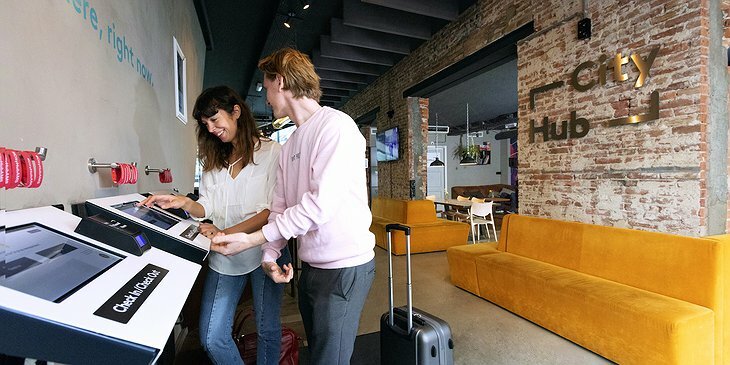 The hotel is located in an old warehouse right next to one of the hottest cultural spots in Amsterdam – De Hallen. This location is bit further away from the prime touristy spots but the owners assure that it offers a more authentic experience of the city by immersing you in a neighbourhood where locals live, work and party. 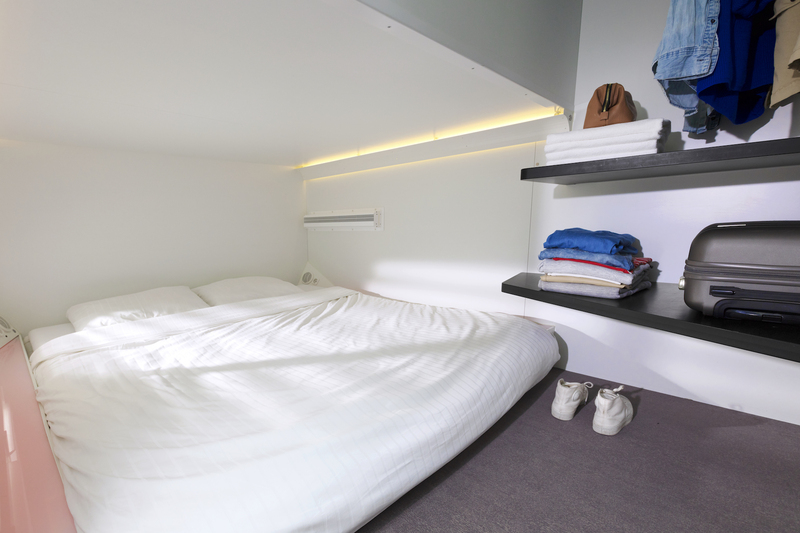 With rows and rows of white, sleek capsules lit up in different colours the dorms look fittingly futuristic. The hubs are actually bigger and comfier than in a typical capsule hotel: each has a king size bed and some extra space for a shelf and a mirror, where you can fully stand up. By contrast, the common spaces are cosy and inviting with exposed brick and a bit of 70s flair. 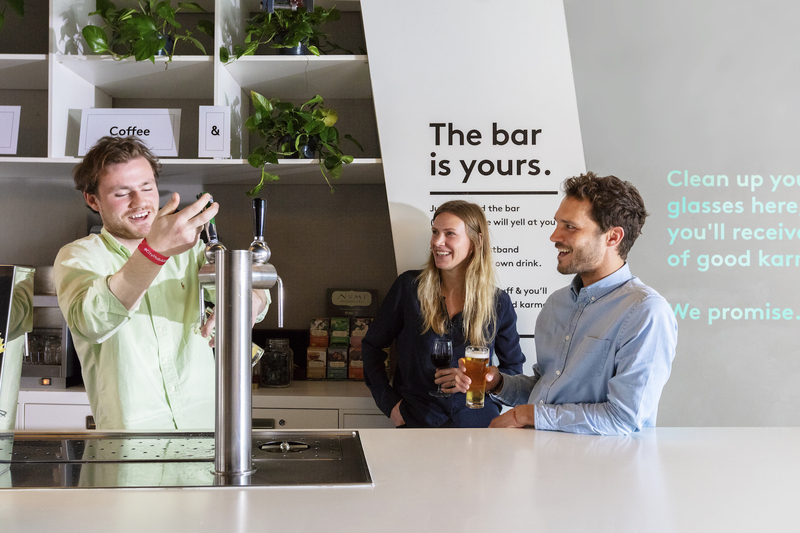 CityHub fully lives up to its digital hotel title with a self-service bar where you pull your own pint and pay for it with a wristband. You do the check-in and check-out at a self-service terminal, too. 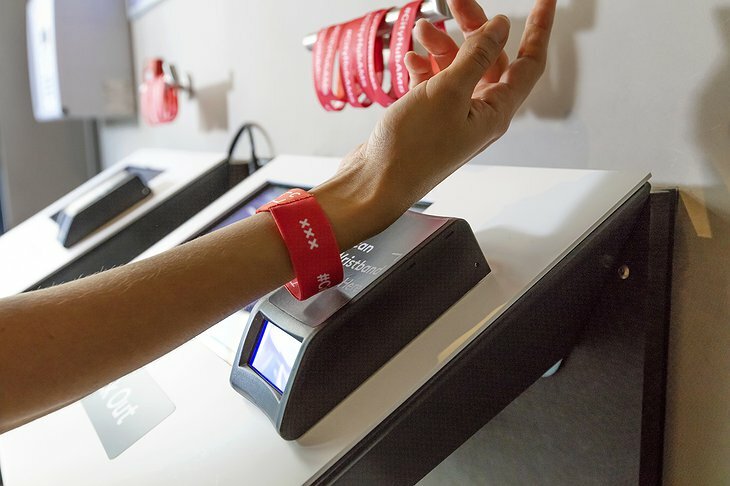 Quick, easy and human-contact-free.